Hi there, I’m guessing you’re potentially interested in the Singing Success 360 lessons, and want to look inside to see if it’s right for you? Or maybe you just want an honest unbiased review? Shaun Letang: Hi, guys. My name is Shaun Letang, from Music Industry How To, and today I’ve got a review for you, of Singing Success 360. 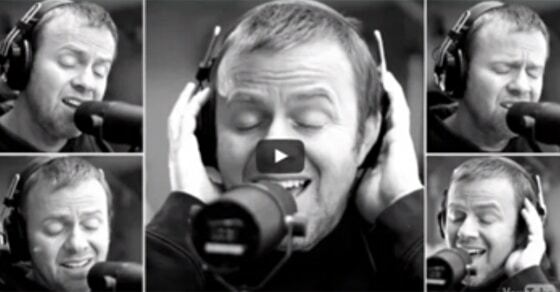 Now, Singing Success 360 is an online course, and it’s for all singers that want to learn how to improve their vocals, how to become a better singer. These are a series of audio lessons, brought to you by Brett Manning, as you can see over here. I’m going to quickly get into it right now and basically just show you what you get inside the course. This is me logged into the course. As you can see, they’re all audio lessons, there’s no video lessons in here. They actually have a video subscription, but that’s a separate package, I won’t be reviewing that today, so let’s just look at the audio. The first thing you notice when you log into your member’s area is, everything is very professional. The layout, for example, is split into two sections: technique, and style. Within each of those, you get a lot of different lessons based around a lot of different things. For example, when you go into the introduction, you have all the audio lessons here. In the introduction he basically shows you what he means by all these different things, chest voice, head voice … just everything. He basically gives you an explanation of what they all mean, so as you go through the course you have a better understanding, and you can kind of understand what he’s saying a lot easier … Close that down. 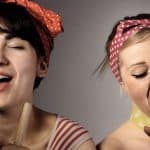 In the technique area, you can basically … They advise you to go through everything step by step if you’re a beginning singer, because you may already have learned how to sing certain things, but you may have not used the correct technique. Using these strategies and these trainings … training audios, you’ll be able to kind of pick up the proper technique and learn how to sing properly. Let’s say, for example, you go into Discovering Your Voice audio lesson of How to Use these Programmed Techniques, another lesson … Whether you’re male or female they got different audio lessons for you, because, of course, male and females have different ranges. Just listen to one of these for example … Let’s listen to the male demo. Brett Manning: Now it’s your turn. Men, we’ll start and then you join in. Shaun Letang: As you see you can see as you start playing the audio, you get controls for the audio at the bottom over here, so you can play and pause it. It tells you how long each audio lesson is, over here … and they vary, they vary from a few seconds to 1 minute, but all the way up to over 10 minutes for some of them. It just varies, based on what you’re learning and how long that lesson takes; so, yes, that’s how you control it. As I mentioned you can go through in order, you can use these to save certain lessons or take notes. If you got something to say at BIO you remember flyer, write whatever you want to write. Let’s save it … and yes. That’s pretty much it for the lessons you get. You can have a quick look through. It tells you all the lessons, what you’ll be learning, on the sales page; so if you don’t get to see that in time in this video then you can just look there and they’ll tell you everything you need to know. Next thing that I want to mention is support. If you need help with any of the lessons, if you can’t get into your membership, for example, or if you’re not sure how certain things do fit in, you could either click over here … this is actually live support but, if they’re not online at the time then you will get to leave … talk to them live, but otherwise you can leave a message and they will get back to you; or you can click over here, you’ll be able to contact support. Even though it’s not kind of live, like person-on-person, audio lessons, you still get a personal touch if you need it. Lastly I want to talk about price, The Singing Success 360 complete method, if you just want to download it at your computer, they’re going to share it through email, it’s $200 or exactly $197; or, if you want the physical CDs then it’s $247. I know they do this cheaper option, so if you want to kind of save a bit of money, then you can do that. It’s not that much cheaper, so I recommend you get it downloaded and basically keep it for life, because this cheap method is only for, it’s either 3 months or a year. They also have other kind of available options, but I haven’t personally used these, so I can’t recommend them; but if you want, if you enjoy this, the 360 course, and you want to see more, you can go into that. 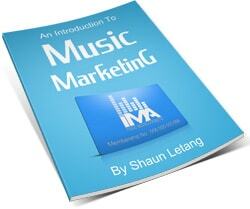 All right, once again, my name is Shaun Letang for Music Industry How To. If you enjoyed this video please click LIKE, leave your comment, and, yeah, share it with friends. Check Music Industry How To for more music industry advice.